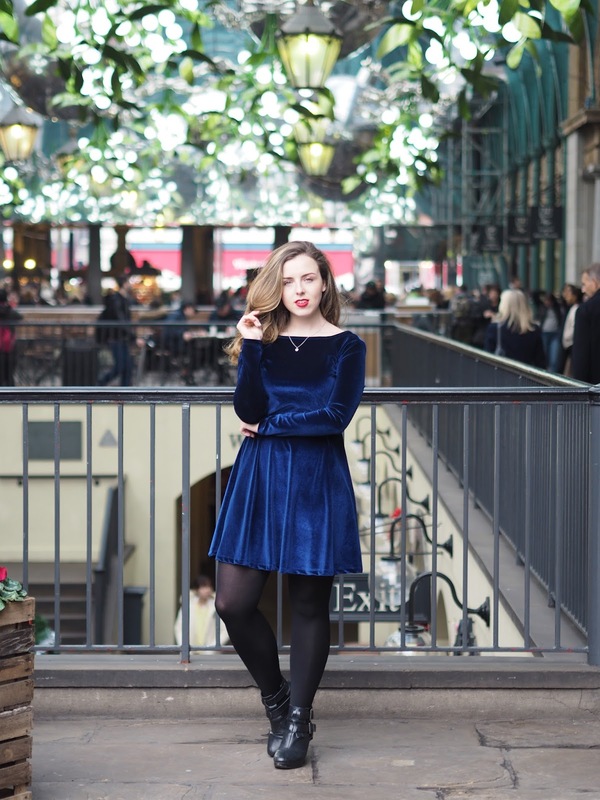 Every year, I hunt for the perfect Christmas dress and every year it usually comes in the form of a super soft velvet number. 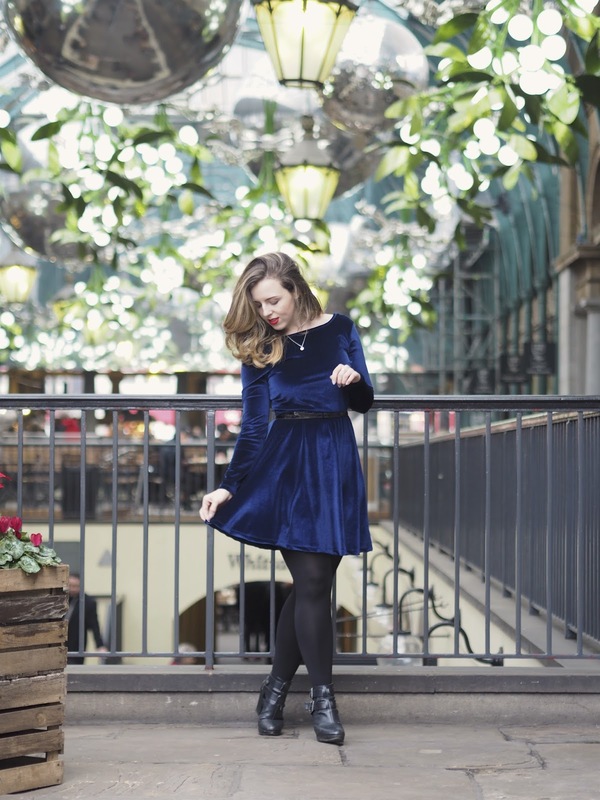 This year ASOS gave me the goods in the form of this gorgeous Royal Blue Velvet Skater Dress. It's the dreaaaam and an absolute steal too. 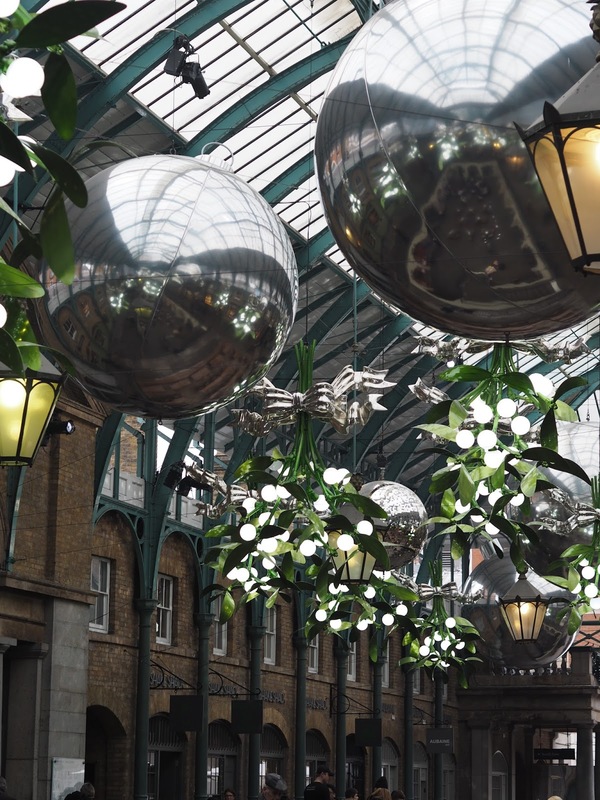 I wanted to shoot this outfit in one of my favourite places in London, especially at Christmas time, Covent Garden. 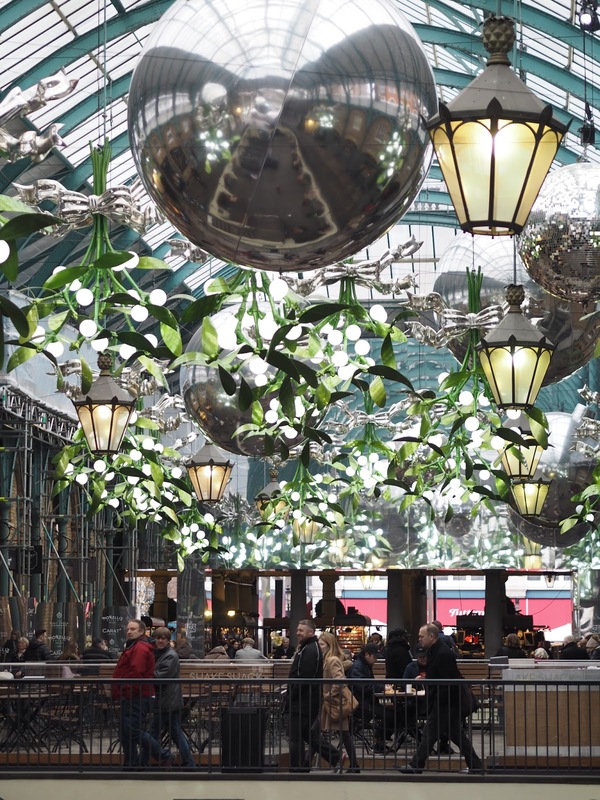 If you haven't there to see their incredible christmas decorations, you need to visit soon, pick up a flaky pastry and a hot chocolate from Aubaine or some delicious macaroons from Ladurée and enjoy the boutique shops, festive stalls and christmassy vibes. 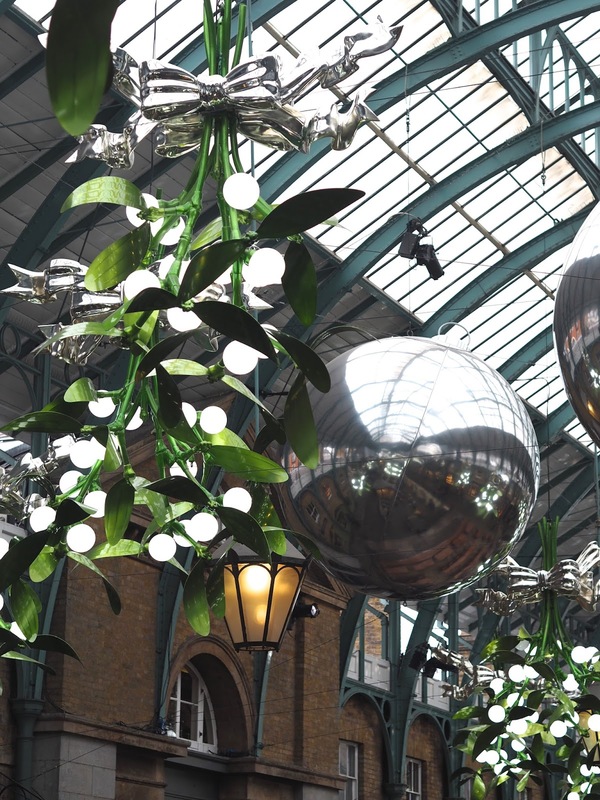 Huge baubles, giant mistletoe and Ginormous disco balls galore, it's so beautiful and impossibly not to feel festive! 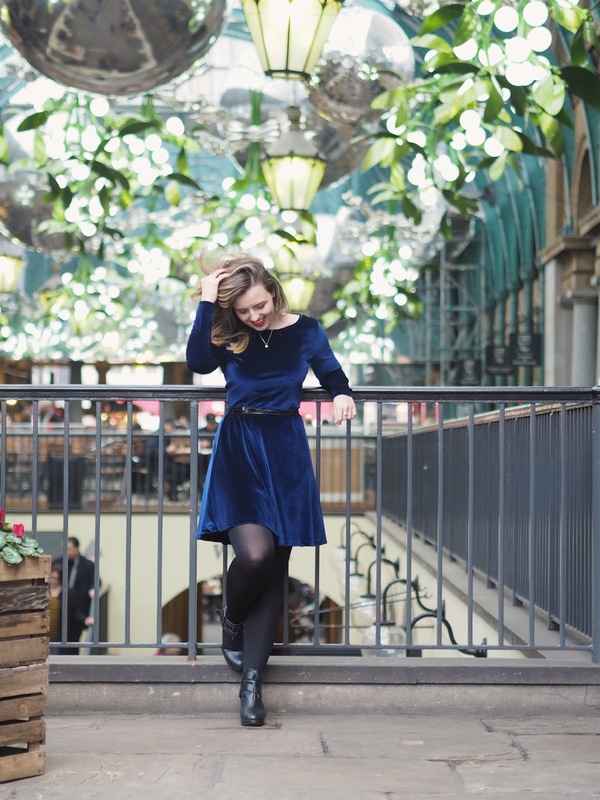 I feel amazing in this dress, it's flattering and perfect for Christmas. 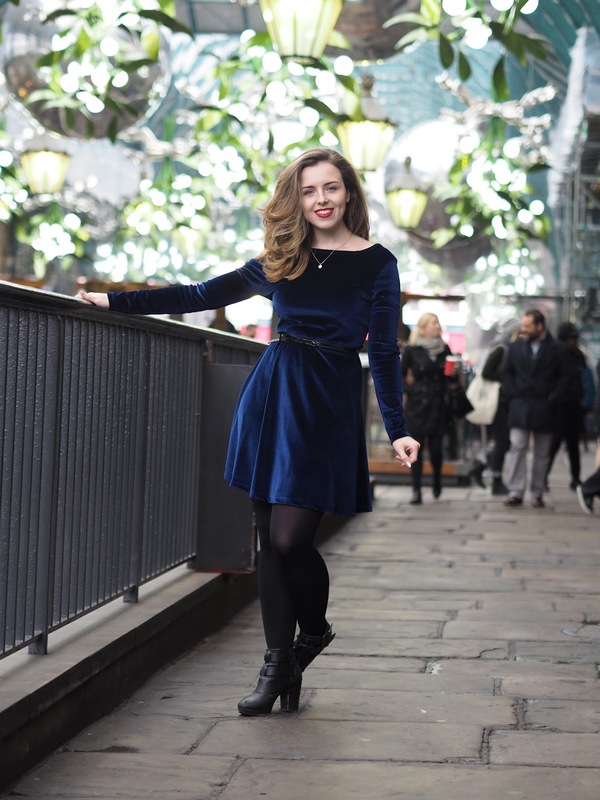 I usually pair it with a skinny belt to cinch it in at my waist, black tights and a pair of heeled boots - a festive red lip goes perfectly too! 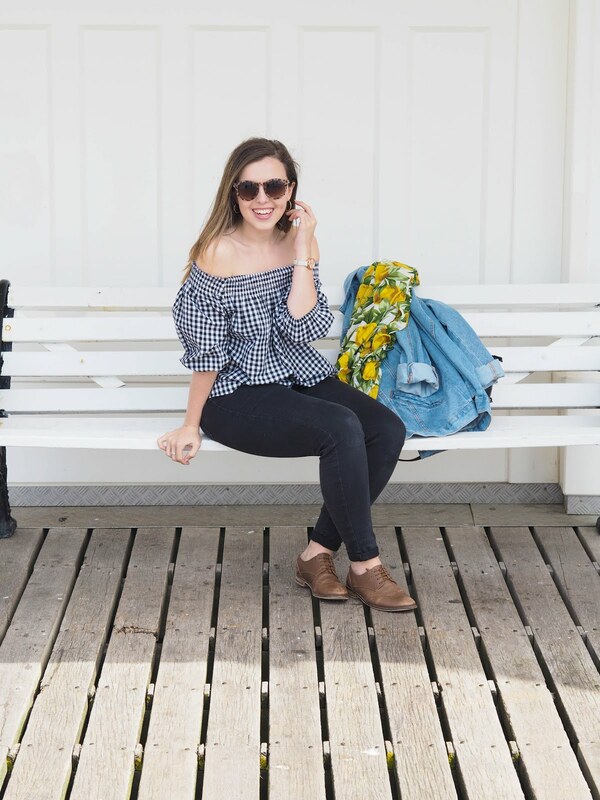 It's super affordable at only £25, so it's a huge bargain too. 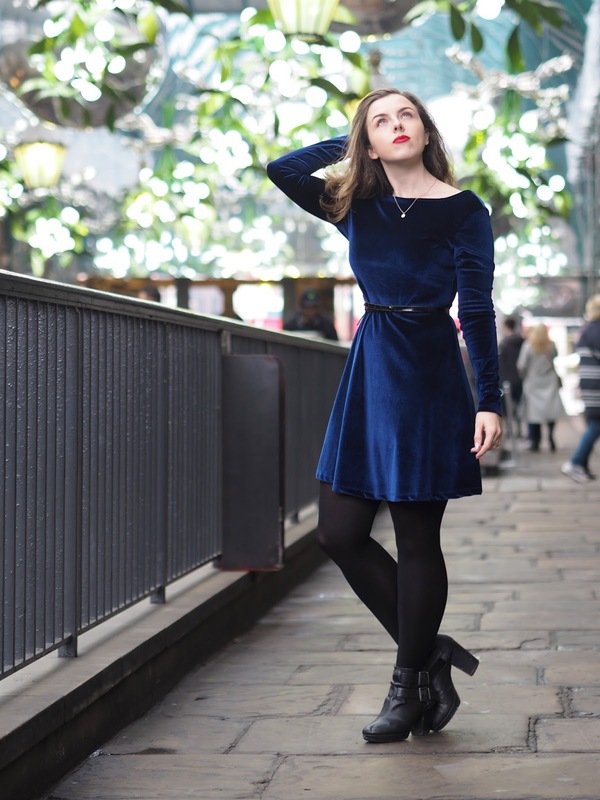 It's getting so close to Christmas, what do you like to wear on Christmas Day?